If the old saying “imitation is the sincerest from of flattery” is true, then comedian/actor George Burns’ spirit is no doubt feeling the love from Scott Wichmann. Wichmann is currently starring in Say Goodnight Gracie from Virginia Rep at Hanover Tavern. 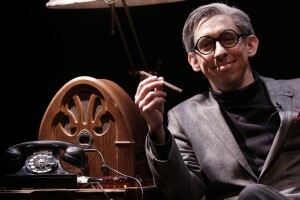 Scott Wichmann shines as legendary funny man George Burns in Say Goodnight Gracie at Hanover Tavern. The one-man play has Burns telling his life story as he gives one last comedy show to God before entering heaven. Burns, born Nathan Birnbaum, started performing when he was in the fourth grade doing everything from playing straight man to a trained seal to starring in Vaudeville. But his career took off when he teamed with Gracie Allen and started writing material for Burns and Allen. The two married and continued their comedy through radio and television. Gracie retired from the act and passed away not long thereafter. Burns continued to act on television and in films into his nineties. It’s difficult for any actor to step into a real-life role, but far more difficult when the person you are playing was a comedy legend and has such a recognizable voice. 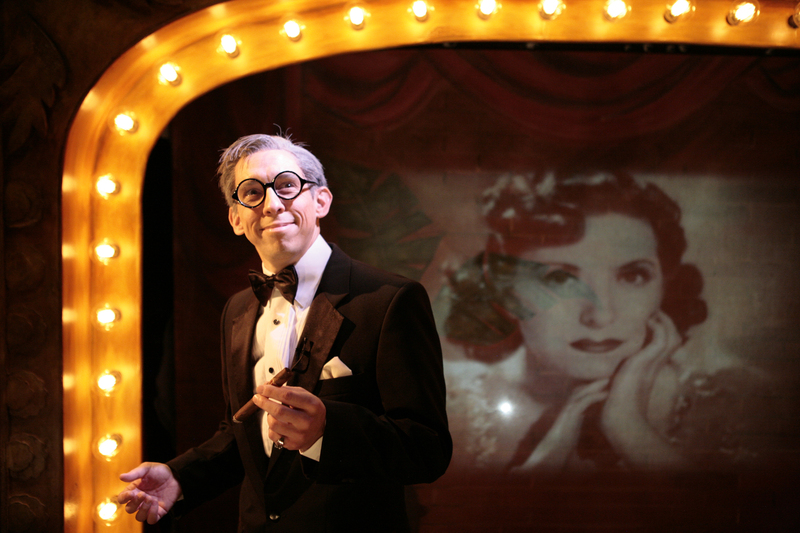 But, Wichmann (last seen in The Producers) has done a fantastic job of becoming George Burns. He has everything, from the timber in Burns’ voice to the way he holds his cigar, down pat. He even looks like the legendary comedian on stage. Wichmann’s timing mirrors Burns’ precise timing. He pauses and fires away — and if you don’t get it the first time, he fires again. What is brilliant about Wichmann’s portrayal is the way he has captured Burns’ love of Gracie. It’s as sincere as it gets from their early days of courtship to his moving visits to the love of his life’s gravesite. By the end of the evening, you will swear that you spent the last ninety minutes with George Burns himself, and not Wichmann. Director Chase Kniffen has done a fantastic job of giving Wichmann lots of latitude in the characterization of this iconic media legend. He’s also to be commended for the way he has woven audio and video clips from Burns and Allen – and Burns’ lifelong buddy Jack Benny – into the production flawlessly. Say Goodnight Gracie is a sweet journey down the memory lane of one of entertainment’s greatest guys and a true legend. It’s also a charming love letter to Gracie and a must-see. Part of Virginia Rep’s Barksdale Season at Hanover Tavern, Say Goodnight Gracie runs through November 10. 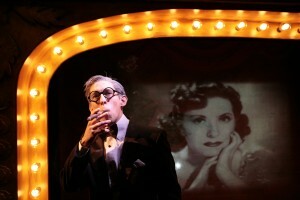 Visit Virginia Repertory Theatre: Say Goodnight Gracie, 2013 or call (804) 282-2620 for showtimes and ticket information.